Do you know that The Green Man team rear our own rare breed Berkshire pigs right here in the village? Our aim is to give our pigs the best life possible. Our pigs are kept outside for their whole life, contained by a pulse electric fence. 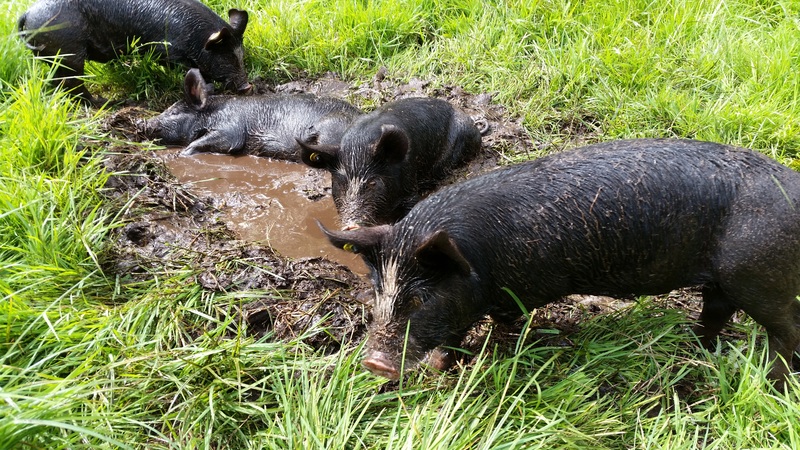 They have free access to an insulated ark with plenty of straw, fresh water and the freedom to root through the soil, and wallow in muddy puddles; just what pigs love to do. We have been raising our own pork for the pub since 2015. 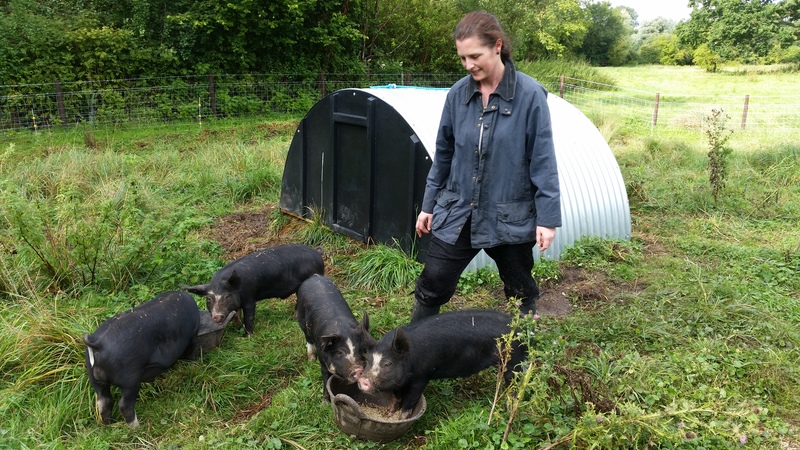 We collect our pigs as 8 week old weeners, and finish them at intervals between 7-9 months. The meat is amazing, packed full of fantastic flavour! High welfare, happy pigs make amazing pork! Between April-September, as you walk through the village you should be able to spot our pigs on a daily basis. They live in the field opposite the shop, by the junction of Middle Street & School Lane. Why not make it part of the school run, watch the piggies grow and see how happy and healthy they look. It's a great lesson for kids to know where pork comes from. Any questions about the pigs please come to the pub and ask Chris or Rebecca. An electric fence surrounds the field. It is always on. 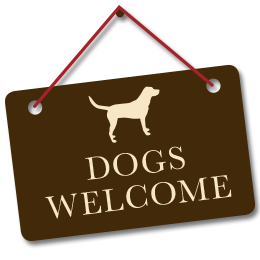 There are very strict regulations surrounding what our pigs are allowed to eat. The following is taken from the Gov.UK website: "You can’t feed pigs catering waste from any domestic or commercial kitchen, including kitchens that only cater for vegetarians". However harmless it may be seem to take something along to the field so that the kids can feed the pigs, PLEASE DO NOT FEED THEM. Oliver Cromwell's troops when quartered in Reading, made reference to a locally bred pig renowned for its size and the quality of its bacon and ham. This turned out to be one of the earliest records of the Berkshire breed. Berkshire pigs are an all black breed with white feet, a white blaze on the face and a white tip to the tail. A traditional pork pig that produces mouth-watering joints and chops with crackling that is second to none. The excellent carcass quality became very popular, enjoying patronage from the aristocracy, including Queen Victoria. Berkshire pork is prized for juiciness, flavour and tenderness, is pink-hued and heavily marbled. Its high fat content makes it suitable for long cooking and high-temperature cooking. The Berkshire suffered a serious decline in popularity following World War II when the demand for leaner bacon from white-skinned pigs increased and then in the 1960s with the development of breeding companies that favoured white breeds. 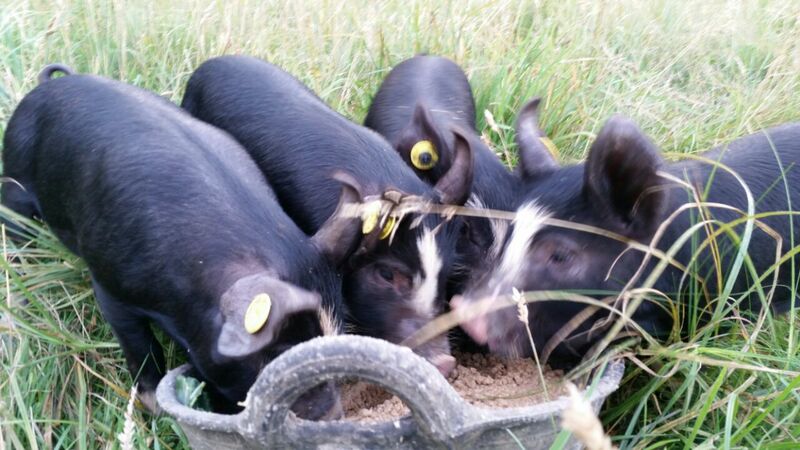 Berkshire pigs are listed by the rare breeds survival trust with around 400 breeding sows registered in the UK. 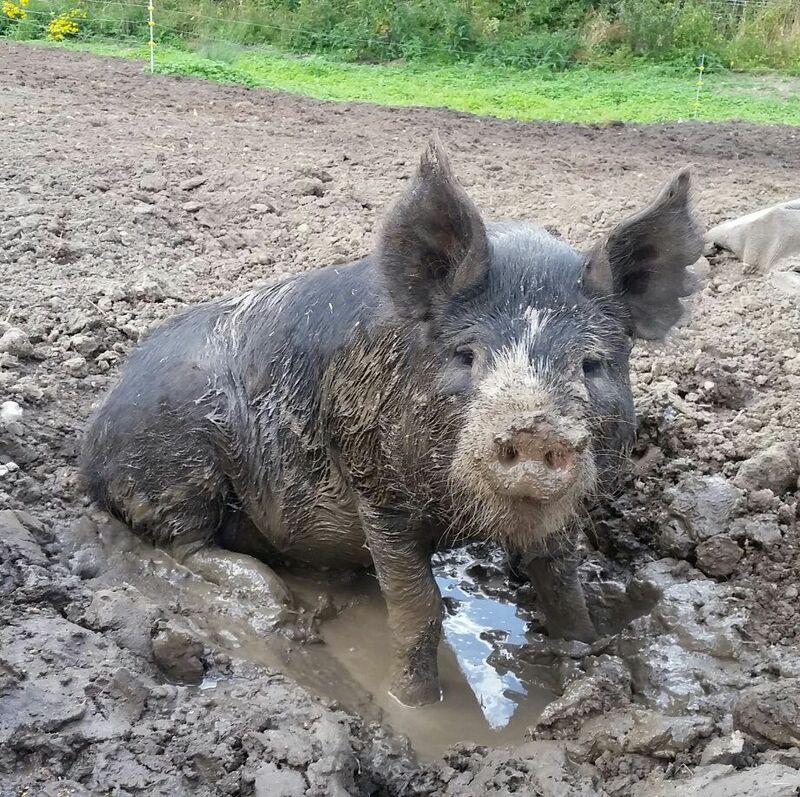 As happy as a pig in muck! 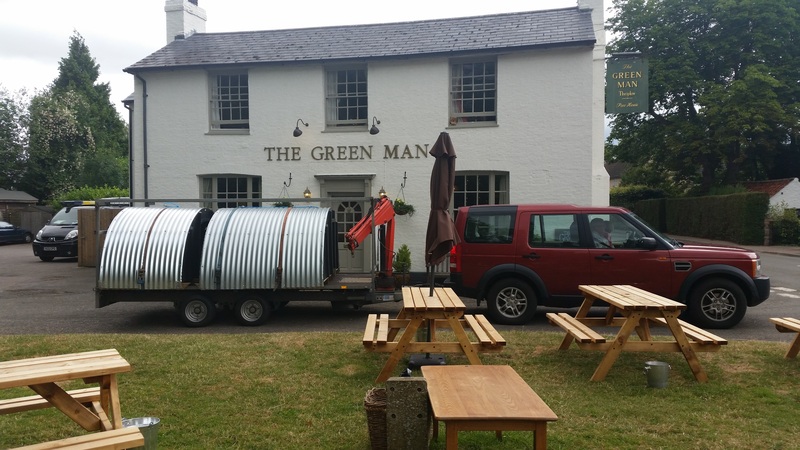 The pig arc arrives at The Green Man... much to the amusement of our lunch time customers. 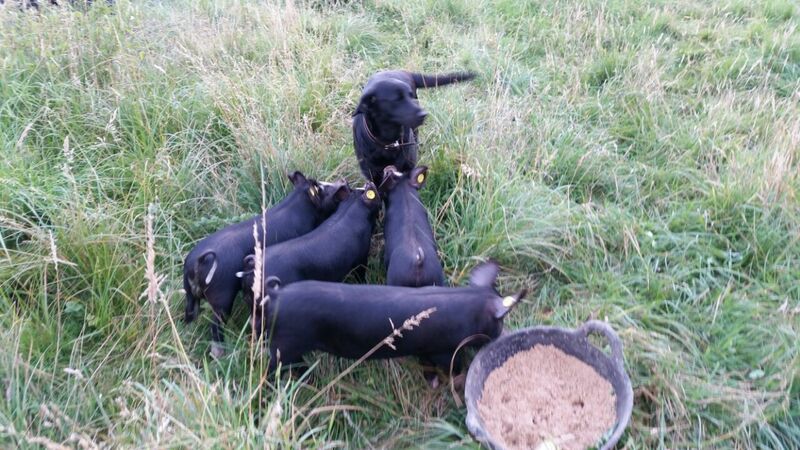 Ruby does a great job of showing the piglets around their new field. 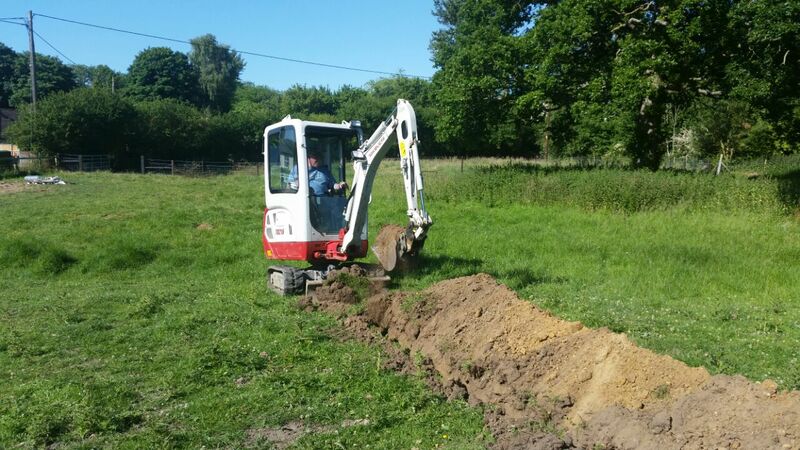 The pigs arrive and eat their first meal in Thriplow... it tastes pretty good! 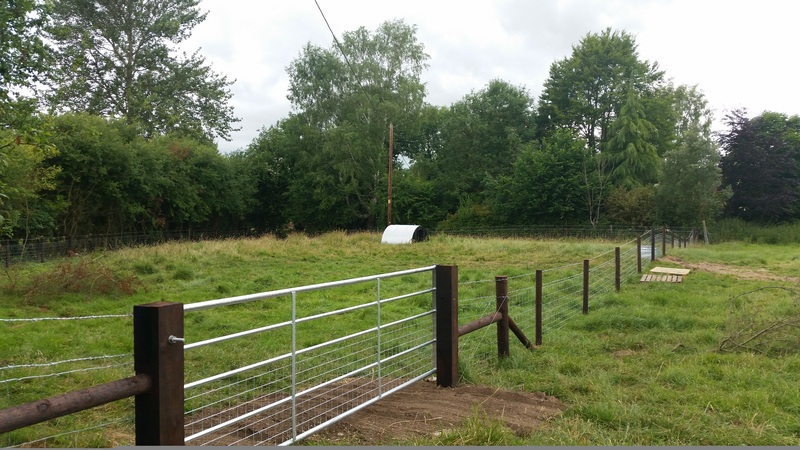 The Thriplow farming community has helped immensly with the fencing, and by inserting an underground piped water supply to the pig enclousure. This means that even on the coldest winter day the pipes won't freeze, and the piggies will be well watered. Phew! What a lovely grassy meadow! We have very happy piggies indeed. We are known for our variety and high standard of real ales, but that's not all we're pouring. We also have Sommersby cider & Holsten Vier lager on tap. If beer is not your thing... we have a small but well thought out wine list, so there is something to suit any whim or fancy.